Philippines' bet Sharifa Areef Mohammed Omar Akeel was crowned Miss Asia Pacific International 2018 during its grand coronation held Thursday night at the Newport Performing Arts Theater in Resorts World Manila. 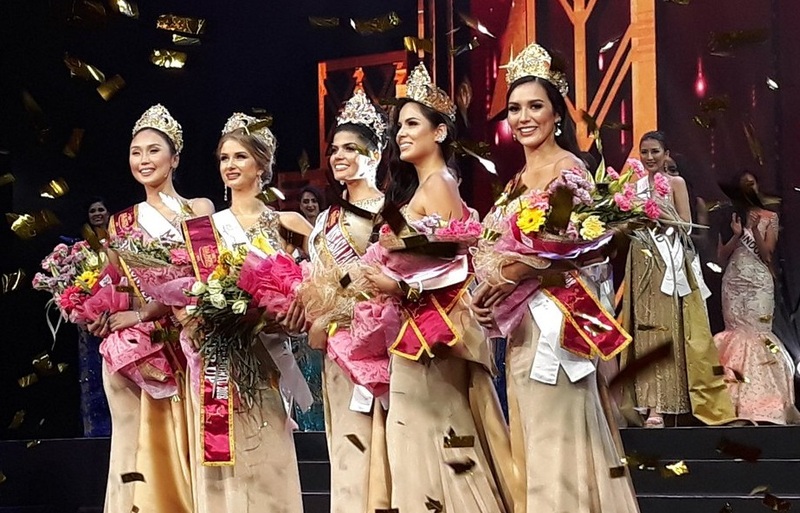 The Sultan Kudarat beauty bested 49 other candidates from around the world and became the fifth Filipina to win in the prestigious pageant. Miss Brazil Gabriela Palma was named as the first runner-up and Miss Costa Rica Melania Gonzales as the second runner-up. Meanwhile, Miss Mongolia Misheelt Narmandakh and Miss Venezuela Marani Angarita finished third and fourth runners up, respectively.